BRIEF: CREATE A CAMPAIGN GEARED TOWARD CURRENT CONSULTANTS AND PROSPECTIVE CLIENTS. PLAYING OFF BRAND'S MISSION STATEMENT -- TO TRANSFORM THE LIVES OF MILLIONS OF WOMEN WORLDWIDE --CARRY THE CAMPAIGN ACROSS PRINT, DIGITAL & SOCIAL. SOCIAL MEDIA: Campaign launch consisted of print, digital and social assets. Above: week 1 social asset. Translated for U.S. and Mexico markets. ACCOMPANYING POSTING COPY: "JOIN ME, AND THOUSANDS OF OTHER WOMEN, WHO'VE BUILT CAREERS WE LOVE! ASK ME ABOUT JAFRA!" SOCIAL MEDIA: Campaign launch consisted of print, digital and social assets. Above: week 2 social asset - Client facing. Translated for U.S. and Mexico markets. ACCOMPANYING POSTING COPY: "YOU CAN HAVE IT ALL! I BUILT THE LIFE I ALWAYS DREAMED OF AND YOU CAN, TOO! ASK ME ABOUT JAFRA." SOCIAL MEDIA: Campaign launch consisted of print, digital and social assets. Above: week 3 social asset - Client facing. Translated for U.S. and Mexico markets. ACCOMPANYING POSTING COPY: "JOIN ME, AND A COMMUNITY OF WOMEN, WHERE YOU CAN HAVE IT ALL! A BEAUTIFUL CAREER AND BEAUTIFUL LIFE. ASK ME ABOUT JAFRA!" SOCIAL MEDIA: Campaign launch consisted of print, digital and social assets. Above: week 4 social asset - Client facing. Translated for U.S. and Mexico markets. ACCOMPANYING POSTING COPY: "IT'S EASY TO BUILD THE LIFE YOU'VE ALWAYS DREAMED OF. START TODAY, AND ASK ME HOW! ASK ME ABOUT JAFRA!" OVERVIEW: CONTINUING WITH MONTH ONE WE WANTED TO CARRY THE SAME MESSAGE, BUT DELIVERED WITH A TOUCH OF THE HOLIDAYS. 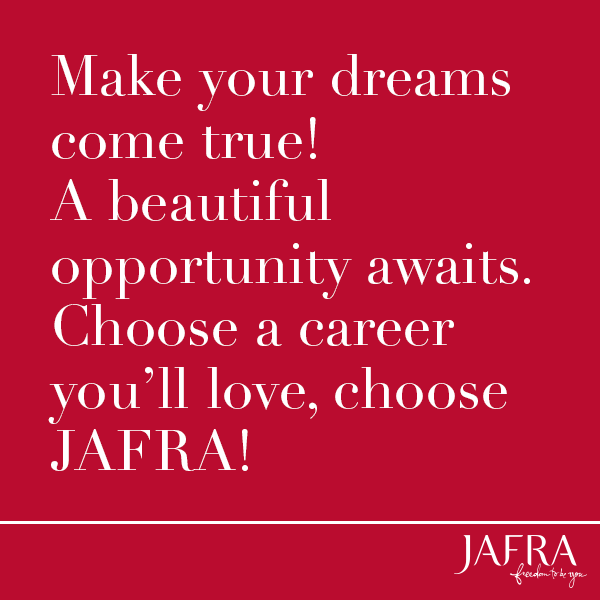 THIS PROMPTED THE IDEA THAT A JAFRA CAREER IS MUCH MORE THAN JUST YOUR REGULAR JOB, IT'S THE GIFT OF FREEDOM. SOCIAL MEDIA: Campaign launch consisted of print, digital and social assets. Above: week 1, month 2 social asset - Client facing. Translated for U.S. and Mexico markets. SOCIAL MEDIA: Campaign launch consisted of print, digital and social assets. Above: week 2, month 2 social asset - Client facing. Translated for U.S. and Mexico markets. ACCOMPANYING POSTING COPY: "BUILD THE LIFE YOU'VE ALWAYS DREAMS OF. START TODAY WITH JAFRA. ASK ME HOW!" SOCIAL MEDIA: Campaign launch consisted of print, digital and social assets. Above: week 3, month 2 social asset - Client facing. Translated for U.S. and Mexico markets. ACCOMPANYING POSTING COPY: "JOIN A COMMUNITY OF WOMEN WHO HAVE IT ALL, A BEAUTIFUL CAREER AND BEAUTIFUL LIFE. ASK ME ABOUT JAFRA!" BRIEF: POSITION MILK BRAND ICE CREAM AS A BRAND THAT ACCEPTS AND UNDERSTANDS ALL INDIVIDUALS, FROM ALL WALKS OF LIFE. A BRAND FOR ALL. UTILIZING BRANDED HASHTAGS IN BOTH PRINT & DIGITAL ADS TO PUSH THE CONVERSATION ON ALL PLATFORMS AND MEDIUMS GLOBALLY. 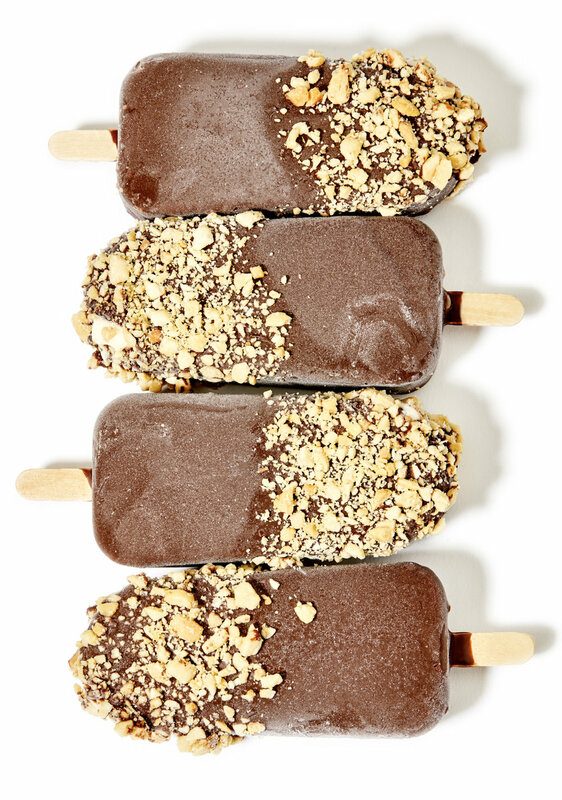 NOT ALL ICE CREAM WAS CREATED EQUAL. BUT HUMANS SHOULD BE. MILK ACCEPTS YOU. EAT AS YOU ARE! COME ONE...COME ALL FLAVORS, SHAPES AND SIZES. BRIEF: NOT ALL ICE CREAM BRANDS ARE THE SAME. POSITION MILK AS A STANDOUT BRAND. A CUT ABOVE THE REST. YOU WOULDN'T WANT TO BE LIKE EVERYONE ELSE. SO, WHY EAT LIKE EVERYONE ELSE? BRIEF: PLAYFUL & FUN AD FOR SUMMER AND THE LAUNCH OF THE NEWEST PRODUCT WATERBURST. 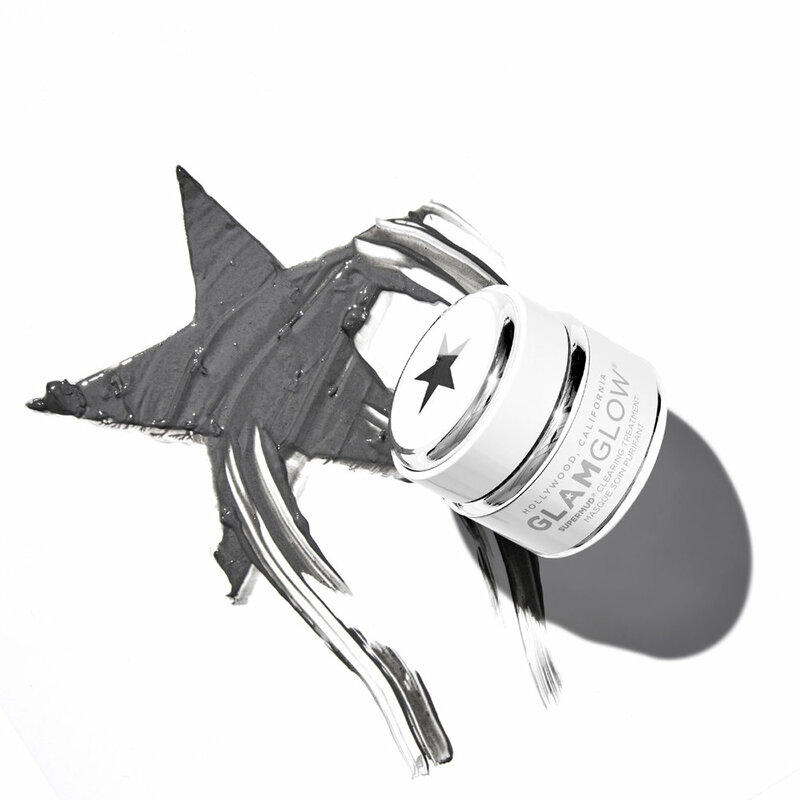 SPLASH INTO FUN WITH GLAMGLOW WATERBURST! DON'T JUST DRINK WATER. DRENCH YOURSELF! YOUR SKIN DESERVES TO STAY HEALTHY, HAPPY & HYDRATED. BRIEF: SEDUCE THE AUDIENCE WITH DARING COPY THAT ENCOURAGES THEM TO TRY & BUY THE PLUMPRAGEOUS LIPGLOSS. YOUR LIPS NEVER FELT THIS HAUTE! GET LIPPY! WE DARE YOU. BECAUSE IT'S NEVER BEEN SO CLEAR HOW TO GET SO CLEAN. 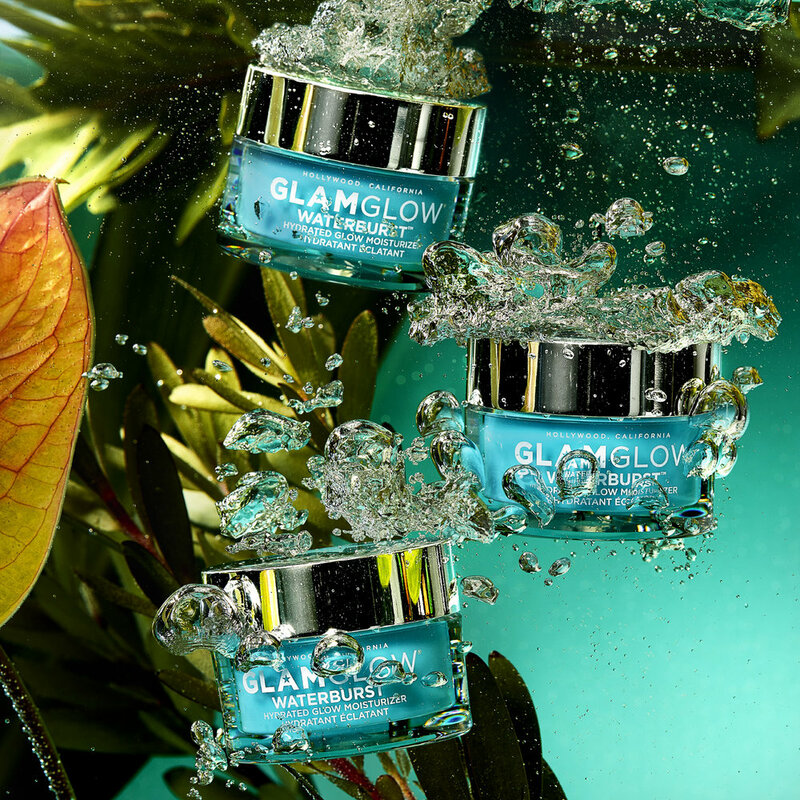 GO GLOWING OR GO HOME. BECAUSE LIFE'S TOO SHORT NOT TO GLOW. JUST GLOW WITH IT AND GET YOUR GLAM ON. BECAUSE LIFE'S TWICE AS NICE WHEN YOU'RE CLEAN. BRIEF: INVESTIGATE AND UNDERSTAND THE ROOT CAUSE AND HOW TO TREAT DARK CIRCLES. Periorbital hyperpigmentation, also known as dark circles, is a relatively common condition that many individuals face on a daily basis (no pun intended). Though causes and treatments can vary, fatigue is usually the most common cause. And while it’d be nice to be able to say getting enough sleep could cure all of your concerns, it’s not always that easy. In fact, there are a multitude of reasons for those pesky dark circles and under-eye discoloration that are causing you grief. Treating under-eye circles isn’t a one-stop-shop fix. So, I went straight to a pro for answers. Dr. Jennifer Ahdout,board-certified general and cosmetic dermatologist with The Roxbury Institute of Beverly Hills, has spent several years treating patients with varying types of skin conditions. She’s also the recipient of the American Medical Women’s Association Glasgow-Rubin Citation Award for Academic Excellence and the UCLA Chancellor’s Service Award, among others. For any these conditions, treatment methods can vary, ranging from topical and internal treatments to lifestyle changes. If you’re unsure about what could be causing your dark circles, it’s worth a trip to your doctor so you can choose the most effective treatment option. Here are some recommendations to help diminish the look of dark circles—categorized by the type of problem. Since fatigue and lack of sleep are the most common causes of dark circles, it could be helpful to start by making some simple changes at home, including “getting 7-8 hours of sleep nightly and adhering to an anti-inflammatory diet.” Check out this post on the science of beauty sleep, which digs deeper into the relationship between sleep and skin health—in addition to suggesting a few at-home remedies for better sleep. As far as your diet goes, the Arthritis Foundation has a handy guide on anti-inflammatory foods. If your dark circles are caused by thin skin surrounding your eyes, Dr. Ahdout suggests considering a filler under the eyes. This can “help offset any shadows from fat loss in the area and to conceal any underlying blood vessels, which may be giving a purple hue to the skin.” In addition, Dr. Ahdout suggests creams or serums containing caffeine, as this ingredient “can help by constricting the diameter of blood vessels, thus reducing the violaceous discoloration of the area. A mild lightening agent such as hydroquinone 2% cream can help alleviate pigmentation.” Dermstore recommends NeoStrata’s Targeted Treatment HQ Skin Lightening Gel, which contains 2% hydroquinone plus antioxidants and kojic acid to brighten the skin. It’s important to remember you’re not alone and seeking medical advice is always best. Especially when over the counter remedies and lifestyle changes do not suffice, Dr. Ahdout says it’s best to consult with a board-certified dermatologist. If you’re still combating dark circles, Dr. Ahdout says a good concealer is always a great trick. Editor’s Note: Try RMS Beauty Un-Cover-Up. It’s filled with great nutrients like jojoba, antioxidants, vitamin E and coconut oil—delivering hydration and long-lasting coverage. Dermstore also recommends jane iredale Circle Delete Concealer. This eye concealer features antioxidant-rich green tea and grape seed extracts to protect your skin from environmental damage. Avocado and sunflower seed oils infuse moisture back in, while algae extract detoxifies to help diminish dark circles. BRIEF: INTERVIEW INDUSTRY PROFESSIONALS TO DETERMINE WHAT CAUSES BRUISING. According to the National Institutes of Health (NIH), a bruise is “a mark on your skin caused by blood trapped under the surface. It happens when an injury crushes small blood vessels but does not break the skin.” Bruises can be caused by minor injuries, surgeries/non-invasive treatments, playing sports, general clumsiness, etc. The good news is that bruises tend to resolve themselves within about a week to 10 days. More time may be necessary depending on the severity of the bruise. Though most are no big deal, they can still be painful and unsightly. Here’s how to treat and/or cover up a pesky bruise on your body. To treat a bruise, you’ll want to grab for a cold compress as soon as possible to help alleviate any swelling that occurs. Applying an ice pack for 30-60 minutes is a good rule of thumb, according to the NIH, and over-the-counter pain medication can help to relieve the pain. Try reaching for acetaminophen and avoid pain relievers such as ibuprofen or aspirin, as they slow the clotting of blood and may increase bleeding. During the healing process, you shouldn’t have to let a bruise prevent you from wearing what you want to wear. Here are some great over-the-counter bruise care products that can help speed up the recovery process and conceal unsightly bruising so you don’t have to interrupt your normal routine. When it comes to bruising after surgery or other medical procedures (like BOTOX, for example), be sure to follow your doctor’s after-care recommendations. While the first two products listed below are designed for post-procedural care, be sure to check with your doctor before use. After a surgical or cosmetic procedure, you might be in the market for a great post-op treatment to help speed up the healing process and prevent bruising. Vitamin K oxide and vitamin E work together to help minimize bruises, improve the appearance of skin and speed up cell regeneration for a faster healing time. Antioxidants—such as vitamin E and green tea, both commonly found in moisturizers—are powerful nutrients that can protect, restore and heal your skin. The Clinicians Complex Bruise Cream is specially designed to improve skin and minimize bruising from cosmetic surgical procedures. It’s an ideal cream especially for use before and after Botox injections, collagen injections, liposuction, laser resurfacing, sclerotherapy and any other procedures when minimal bruising may occur. A popular herb used in homeopathic medicine for centuries, arnica montana is commonly used in creams and ointments to treat bruises, inflammation, swelling and a wide range of other conditions. Made by the homeopathic health and wellness brand VitaMedica, this cream uses arnica montana plus vitamin K and botanicals to help soothe and reduce the appearance of bruising and swelling. It is also designed to help improve circulation during the healing process. Beeswax has antibacterial, anti-inflammatory and protective qualities that make it a bruise-fighting wonder ingredient. Burt’s Bees Res-Q Ointment is 100% natural and is formulated to provide relief, while speeding up recovery time. Other notable ingredients, comfrey, allantoin and lavender extract help to prevent scarring and keep bacteria away from your wound. A group of naturally produced vitamins, vitamin K is a powerful ingredient in many skin care products. It promotes proper blood circulation to help reduce the appearance of broken capillaries and dark circles. Donell K-Derm Cream contains a potent formula powered by vitamin K to do all of the above and more. In addition to healing bruises, it’s often used to help treat the symptoms of rosacea, scarring and spider veins. Dermablend Leg and Body Makeup is available in a variety of beautiful color-matching shades and is very effective at covering bruises and more. It comes infused with SPF 20 to protect from the sun’s harmful rays. Cover up those bruises, blemishes and scars with this lightweight liquid. It provides up to 16 hours of coverage and should leave skin feeling softer, smoother and definitely concealed. BRIEF: GET TO THE BOTTOM OF THE LATEST "IT" PRODUCT, MICELLAR WATER. There are plenty of cleansing, toning and refreshing beauty waters to choose from. But one stands out among the rest: micellar water. Not just your average H2O, micellar water could just be the product you’ve been missing. So, what exactly is in this “magic” water? “Micellar water is made up of micelles, which trap impurities in the skin (sebum, pollution, oil and traces of makeup), so they can be wiped away easily,” says Lisamarie Garguilo, Director of Education for Luzern Laboratories. “Micellar water is very much on-trend at the moment, not only because it is an exciting new product, but because it is multifunctional,” says Murat Evin, Creative Director at The London School of Make-up. “It can be used as a cleanser, a toner, makeup remover and even moisturizes the skin—making it a great investment for any beauty addict.” Here are six unique ways to incorporate micellar water into your skincare routine. You can use micellar water as an all-over toner. “Micellar water actually draws out all the oil and dirt that can be found on the surface of your skin and rinses your pores,” says Evin. “Its lightweight formula may look like water, but its properties make it an excellent cleansing agent for your skin, without the oil-stripping ingredients often found in toners.” After cleansing with your face wash of choice, douse a cotton ball with micellar water. Gently drape all over skin, then follow with the rest of your skin regimen. You can use micellar water as a light face wash. Its consistency is just that—lightweight, easy to apply, refreshing and doesn’t leave your skin feeling oily like some of those oil-based face washes and makeup removers. Best of all? It’s so nourishing and hydrating that you don’t even have to rinse! “Since there is no rinsing required, this product is the perfect refresher on the go,” says Garguilo. It’s “simple to use after a workout or anytime you need a quick pick-me-up.” You can toss a small bottle in your gym bag for a post-gym quick cleanup. It’s also super refreshing and great to have on hand for when you go camping. Lastly, but certainly not least, take it on a flight with you for a mid-flight boost! Make sure to pack it in your carry-on—travel size, of course. Last but certainly not least, you can use micellar water as a brush cleaner. Makeup artist and beauty blogger Hillary Kline explains, “What’s nice about micellar water is that it is made to get rid of dirt and oil, which helps get rid of all that buildup on your makeup brushes.” Here’s a step-by-step guide to cleaning your makeup brushes. Just swap out brush cleaner for your choice of micellar water in step two. BRIEF: INTERVIEW PROFESSIONAL MAKEUP ARTIST FROM THE ENTERTAINMENT INDUSTRY. In the world of social media, dating apps and even networking sites, your profile picture is often the key to making a good first impression. Whether you’re getting professional pics taken on a special occasion or in need of a killer selfie worthy of a right swipe, here’s how to achieve a camera-ready look in no time. Makeup artist to the stars and founder of Belle Amici Beauty, Margaux Lancaster is no stranger to applying makeup. She emphasizes the need for a great hydrating primer and moisturizer, before even thinking about applying a touch of makeup. “Skin below makeup should be fresh and hydrated. I think of a rose petal—that is how your skin should feel.” Before applying makeup, Lancaster also likes to exfoliate her skin. “I make a homemade exfoliant scrub with coconut oil and salt or sugar,” she says. Lancaster insists on avoiding powders, especially if you are applying makeup under your eyes. It can increase the visibility of under-eye lines and creases. If it looks like there’s a halo around your image once you take a photo, it may be from the powder. Should you prefer to wear powder foundation, try applying in a downward motion in the direction of hair growth. This will help you avoid a hazy, fuzzy look. Vico Velez, a beauty and product photographer based in Los Angeles, urges those ready to snap a selfie to find or create the most flattering light. “When it comes to lighting for beauty, especially when trying to achieve as close to perfect-looking healthy skin without retouching,” says Velez, “the key is creating an overall soft and diffused even light on the face. The reason being, when you see blemishes and pores, it’s actually because you are seeing the contrast between highlights and shadows on the skin.” Velez suggests using light diffusers to bounce light off of flat bright surfaces. However, you don’t need professional equipment to find good lighting for a photo. “It’s all about avoiding direct and specular lighting that can be harsh and accentuate skin imperfections,” Velez explains. “Another helpful tip is to try to position the light straight-on balanced evenly on the face, so to not create unwanted shadows.” If you want to fake a professional shot without the professional price tag, look for a ring-light attachment for your smartphone! A makeup mirror with a ring light around it can also provide the bright, even lighting you’re looking for. San Francisco-based photographer Sarah Sloboda stresses the importance of wearing solid colors in photos. “Darker colors are slimming in photos,” she says, “while patterns can be distracting. Go for something dark and plain, with a nice neckline, to accentuate your face.” Of course, dark doesn’t have to mean all black—especially if black clothing washes you out like Monahan. A navy blue or emerald green can have the same slimming effect, while complementing your skin tone. Arguably more important than how you look is how you feel when taking a selfie or getting a professional photo taken. “The camera will pick up extremely subtle things about how you are feeling,” Sloboda says, “so have thoughts that make you feel confident, happy and whatever else you want to project.” Put on your favorite music, grab a friend for some moral support and put your best face forward. BRIEF: USING INDUSTRY SOURCES GET TO THE BOTTOM OF WHAT CAUSES STRETCH MARKS. Battle scars to wear with pride or embarrassing marks to cover up? No matter which way you look at them, stretch marks are a very common, perfectly normal and sometimes frustrating skin feature. Many women (and men!) will, at some point in their lives, develop them. If you have stretch marks and are feeling alone in your struggle, know that almost all pregnant women, 70 percent of adolescent women and 40 percent of adolescent men in the U.S. have stretch marks—according to the U.S. National Library of Medicine. Though we know they’re common, do we know what actually causes them? Can you prevent them? And what’s the difference between pregnancy stretch marks and those caused by genetics or weight fluctuations? To get answers to these questions and more, I sat down to talk with Dr. Janet Prystowsky, Associate Professor of Dermatology and attending physician at Mount Sinai in New York City. Dr. Prystowsky is a board-certified dermatologist with more than 30 years of experience in dermatology and dermatologic surgery. Here’s what she had to say on the topic. It’s important to note that there is no difference between pregnancy stretch marks and stretch marks found elsewhere on the body. “A stretch mark is a stretch mark, no matter the cause,” according to Dr. Prytowsky. Why do some people have stretch marks and others do not? Read: Who Is Prone to Developing Stretch Marks? What are the first signs of stretch marks and what do they look like? How can you prevent or treat stretch marks? We asked her for her best advice for someone who wants to treat existing stretch marks. “Strivectin is a topical treatment I’ve recommended in my office. It appears to stimulate collagen growth in the dermis layer of the stretch mark. The collagen rebuilds the dermal structure, so that the stretch mark becomes level with its surrounding skin. However, the color does not completely normalize.” StriVectin features two key active ingredients to help stimulate this collagen growth and other skin improvements: Collagex-CE Wrinkle Repair Complex™ and patented NIA-114™. Talk to your doctor if you aren’t seeing the results you want, and he/she may be able to recommend a more aggressive treatment. While nothing is going to work instantly, there are a handful of effective at-home or in-office treatments you can try. These include hyaluronic acid, tretinoin, acid peels, glycolic acid, laser therapy and micro-needling. For stretch marks in the belly area, some people opt for an abdominoplasty (“tummy tuck”). In the end, the best treatment for you is the one that makes you feel most comfortable with your body. BRIEF: CURATE AND SOURCE TOP MAKEUP BRUSHES FOR THE EVERYDAY WOMAN. Choosing the right brush or tool for each job is so important for a perfect blend and flawless makeup application. But, with so many options, picking the right brush can be daunting. Whether you want to complete your collection or you need a full set of brushes, we’ve got all the info you need. Scroll down for more details on each featured brush. Great for applying blush, bronzer or highlighter, an angled contour brush is one of the most versatile tools you should have in your arsenal. With a slightly angled cut and soft fibers, this brush picks up just the right amount of powder for beautiful application. If you use cream or liquid foundation, an expertly designed foundation brush is a must have. The brush comes designed with a flat-top brush head which is ideal for blending foundations into your skin, aiding in preventing lines for a perfect airbrush finish. The flat top also lets you build color, so you can achieve anything from a subtle glow to a full-coverage look. Sometimes all you need is a light touch of color or shimmer to complete your look. Try your hand at glominerals’ Fan Brush—a delicate fan brush designed to apply a subtle amount of bronze, shimmer or blush. Its hairs are ultra-soft, delicate and feather-light for an all-over, even application. If you’re applying more than one eyeshadow, you must follow the golden rule: blend, blend, blend. Featuring wide, flat bristles and a slightly tapered head, this brush lets you smooth and blend your eyeshadow for an Instagram-worthy finished look. To hide blemishes and discolorations, you need a concealer brush that allows for both accuracy and the right amount of coverage. A brush with a precise pointed tip lets you target any flaw with ease. Combined with the right concealer, you’ll be on your way to gorgeous, smooth skin in no time. Note: This brush is meant for very precise application of concealer. For concealing larger blemishes or discolorations, try Mineral Essence Concealer Brush. A professional-grade blush brush in a medium-full size is ideal for achieving a soft contour or natural flushed look. Make sure you look for one with high-quality hairs to evenly distribute color so you can walk out into the world with your best face forward. For smoky eyes or soft eyeliner looks, a smudger brush is your holy grail. This stout tool lets you apply cream and powder without streaking, pulling or tugging. Its dense fibers also let you precisely apply color for a bold look. So much function in such a little brush! 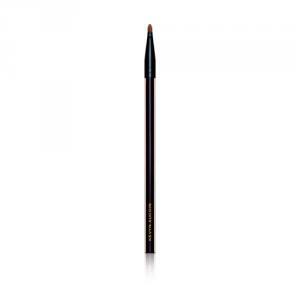 Enhance your eyes’ luster and shine with a firm and precise eyeshadow brush. This particular RMS Beauty brush, with its compact design and synthetic fibers, lets you take eyeshadow application to a new level. Bold, clean, defined brows let you really pull any makeup look together. A double-ended eyebrow-shaping brush lets you enhance, smooth and shape your brows—while the spoolie side tames and blends. You’ll be able to achieve every time with the right tool. While technically not a brush, a beautyblender sponge is a makeup lover’s must-have product. Lightweight, easy to use and super soft, the original beautyblender lets you apply your makeup without leaving streaks. Its signature egg shape allows you to cover and blend makeup on every inch of your face for an almost-airbrushed look. BRIEF: DEBUNK COMMON SKIN CARE MYTHS CONFIRMED BY INDUSTRY PROFESSIONALS. Thanks to the internet and old wive’s tales, there is a ton of skin care advice being thrown around—and not all of it is good. In fact, some of this “advice” can actually be harmful to your skin and health. 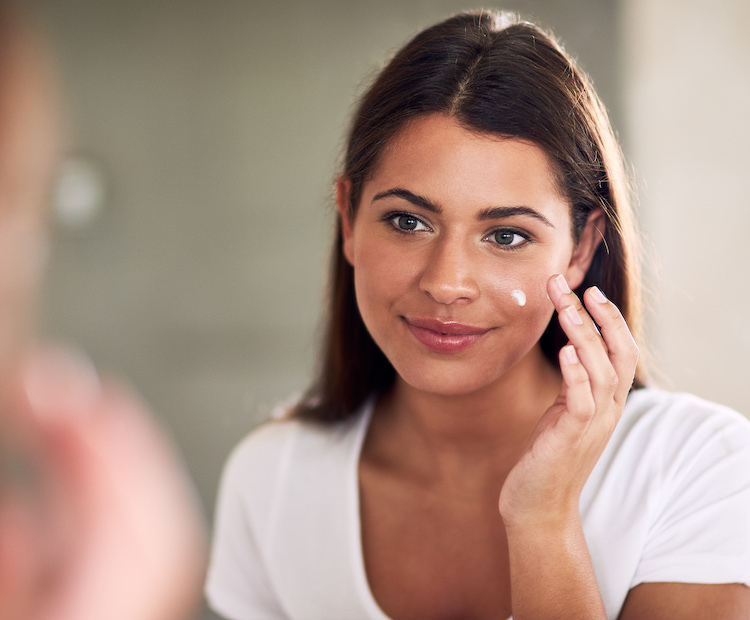 With the help of esthetician Shauna Rose Dermigny, we investigated eight common skin care claims to see exactly why they don’t hold up. See what we found out below, plus, get recommendations for what you should be doing instead. Myth #1: You get acne because you don’t wash your face. Though it’s a popular myth, it is, indeed, a myth. You won’t get acne just because you don’t wash your face correctly or frequently enough. In order for acne to develop, you need to have a combination of four factors: clogged pores from shedding keratin/skin cells, sebum, bacteria and inflammation. So, while not washing your face certainly won’t help the problem, it’s not the sole cause of acne. Myth #2: Anything marked “natural” or “chemical free” must be better for you than other types of skin care products. It’s all about preference and skin type when deciding what ingredients to put on your skin. There is no concrete evidence that parabens and preservatives in skin care are harmful to your skin or body. In fact, without preservatives, skin care and cosmetics are more susceptible to the growth of bacteria, mold and yeast. Should you choose to go the natural route, be sure to pay close attention to expiration dates on your products, as natural products don’t last as long as the alternatives. Myth #3: You’ll age faster if you wear makeup regularly. Makeup junkies: It’s time to breathe a sigh of relief. Makeup, alone, is not going to make you age faster. In fact, so many double-duty makeup products actually nourish, protect or improve your skin while you’re wearing them! However, if you don’t wash your face before bed, you’re leaving not just the makeup, but the dirt, oil and toxins your skin has collected over the course of the day—which is what really causes aging. Fortunately, you can keep wearing all the makeup you want without a worry—as long as you remove it and cleanse your face at the end of the day. Myth #4: Washing your face with hot water will open up the pores for a better clean. You don’t need to shock your face with freezing cold water, but a lukewarm—not hot—temperature is ideal. Though a steamy, hot shower or rinse might feel soothing, it could damage your skin by stripping it of its natural, protective barrier and drying it out. A good way to tell if the water you’re bathing or cleansing with is too hot? If your skin is red after rinsing, the water you used was too hot. Myth #5: The harder you scrub/exfoliate, the better. We so often want instant satisfaction (it’s normal! ), and this applies to our skin care routines as well. We want to feel our products working, which is why exfoliating (especially with a scrub) can be so satisfying. However, less is definitely more when it comes to exfoliation. Exfoliating too often “strips your skin of essential moisture and makes your skin more susceptible to infections, clogged pores and free radicals that can lead to unwanted wrinkles in the future,” says dermatologist Dr. Jill S. Waibel. Myth #6: If it burns, it means it’s working. This is one of the most dangerous myths out there because it almost sounds believable—right alongside “No pain, no gain” or “Beauty is pain.” When it comes to skin care, a little tingling is normal (with some products); stinging or burning, however, is not. This type of reaction may indicate that you have sensitive skin, or it could be something more serious like an allergy to an ingredient you’re using. If something feels off to you, remove right away. And if the pain or irritation does not subside within a few minutes, contact your dermatologist right away. Myth #7: Rubbing alcohol will “kill” your acne. Alcohol is a common ingredient in many skin care products because of its quick-drying abilities. When the right type of alcohol is combined with the right ingredients and in the right concentration, it is considered safe and effective on the skin. However, rubbing alcohol has much too high of a concentration of alcohol, which can break down your skin’s barrier and strip it of the natural oils your skin needs. Instead, look for acne fighters containing glycolic acid, benzoyl peroxide, witch hazel or tea tree oil. Myth #8: You don’t need to moisturize if you have oily skin.